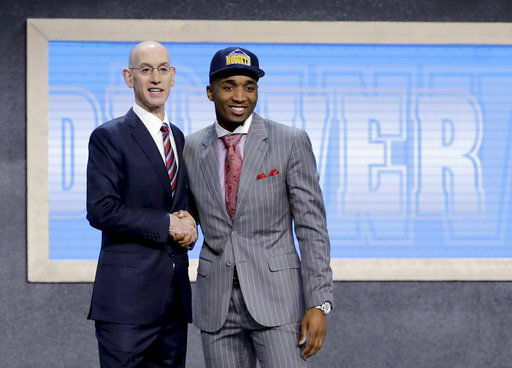 SALT LAKE CITY (AP) — When Donovan Mitchell worked out for the Jazz in May, Utah general manager Dennis Lindsey told the Louisville guard that he would be long gone by the time the franchise picked at No. 24 in the draft. So Lindsey went to work Thursday night and made a draft-day trade like he has every year since taking over the program. The Jazz traded the No. 24 pick and forward Trey Lyles to the Denver Nuggets for the No. 13 pick, Mitchell. The Nuggets received Syracuse forward Tyler Lydon, taken with the No. 24 pick. Lindsey was back at it later in the first round. The Jazz traded the No. 30 and No. 42 picks to the Los Angeles Lakers for the No. 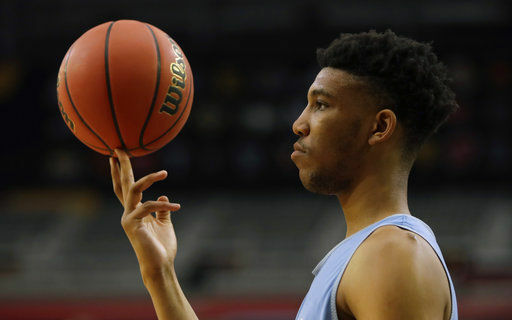 28 pick, North Carolina forward Tony Bradley. Villanova senior guard Josh Hart was the No. 30 pick and Indiana center Thomas Bryant went No. 42 overall. Utah wrapped up its night by selecting Gonzaga point guard Nigel Williams-Goss with the No. 55 pick. Mitchell averaged 15.6 points and shot 35.4 percent from 3-point range as a 6-foot-3, 215-pound sophomore. 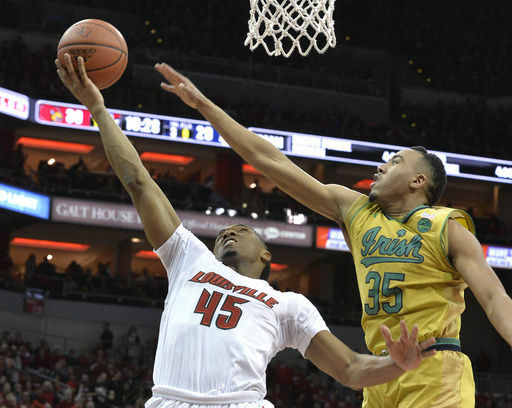 He was named All-ACC first team and was on the conference’s All-Defensive team. 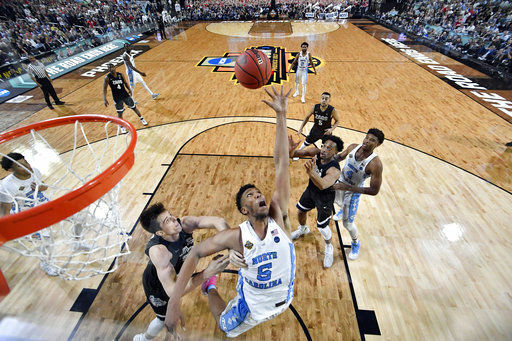 Bradley averaged 7.1 points and 5.1 rebounds as a freshman on the NCAA champion Tar Heels. Williams-Goss led the Zags to the national championship game and averaged 16.8 points, 6.0 rebounds and 4.7 assists. He was the West Coast Conference player of the year and newcomer of the year last season after transferring from Washington. Lindsey has made a draft-day trade each year since his first with the Jazz in 2013. Mitchell had his first pre-draft workout with the Jazz despite projections having him off the board early. He talked early and often about defense Thursday, which fits well with coach Quin Snyder and the NBA’s top defensive unit. Mitchell called Jazz forward Gordon Hayward one of the most underrated players in the league and said he’s been impressed by the Jazz offense. Shot selection and consistency are the two biggest areas he needs to improve, Mitchell said. He expects to play both guard positions and believes his versatility is a strength. Lyles was the Jazz’s No. 12 overall pick in 2015. He averaged 13.7 points last season but saw his minutes and shooting percentages drop dramatically from 2015-16. The Jazz went into this offseason with the primary objective of keeping their own, specifically Hayward and Hill. Hayward is expected to decline his player option and become a free agent and Hill will be an unrestricted free agent. The No. 1 priority is to retain Hayward, who wants to win sooner rather than later. The franchise needs to prove to the first time All-Star that the team is close to a deep playoff run, which likely includes adding shooting, another playmaking scorer, a stretch four and shoring up the point guard position. Lindsey said they will continue to be active in seeking veteran help, especially at the point guard position — particularly if Hill leaves. Utah earned the No. 5 seed in the Western Conference playoffs and returned to the postseason for the first time since 2012 with a 51-31 record. The 50 wins were the most since 2009-10.